Luther: "If it had not been for Dr. Staupitz, I should have sunk in hell." I've searched on your Beggars All blog and the many webpages found by Google, but have discovered no original source reference to the repeatedly claimed quote from Martin Luther about Johann von Staupitz. So I'm passing it onto you to see if you are aware of its source: "If it had not been for Dr. Staupitz, I should have sunk in hell." By reason of the move he came to know well a man who was to exercise a determinative influence upon his development, the vicar of the Augustinian order, Johann von Staupitz. No one better could have been found as a spiritual guide. The vicar knew all the cures prescribed by the schoolmen for spiritual ailments, and besides had a warm religious life of his own with a sympathetic appreciation of the distresses of another. "If it had not been for Dr. Staupitz," said Luther, "I should have sunk in hell." I did locate the context for this remark. The context is fascinating. Luther touches on a variety issues including determinism and the secret counsel of God. I have reproduced the text below. Also find an extensive discussion from Luther on predestination in the conclusion. While it doesn't appear obvious as one reads Bainton, he actually documents much of what he put forth, almost line by line. He documents this quote, "Dok (s), No. 461." Bainton says this refers to, "Dokumente zu Luthers Entwicklung (Otto Scheel, ed., 1929)." This refers to a book containing source documents about Luther's development compiled by German Protestant theologian, Otto Scheel (who unfortunately, got tangled up with the Nazi party). The year "1929" refers to a later volume of this set (Volume one can be found here). While I don't believe this book is available online (at the time of the writing of this entry), I can verify that the quote is on page 167, entry 461. 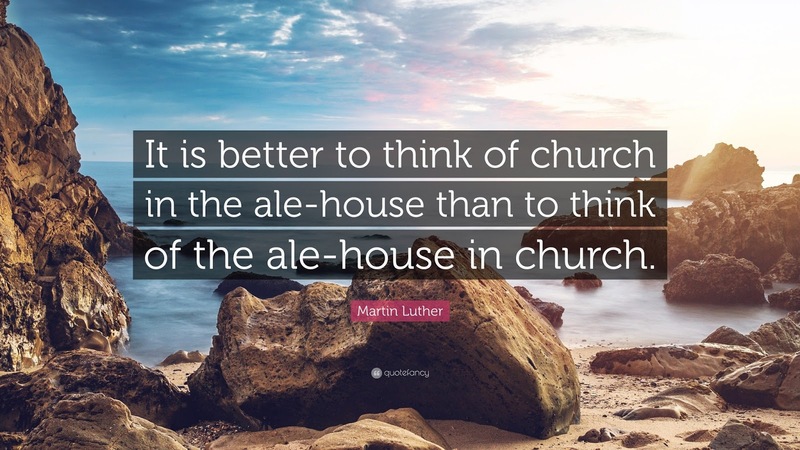 The quote appears to be from a letter Luther wrote to Albrecht of Mansfield. Walch places the date of the letter, December 28, 1541 (letter 2865). deWette though has the date December 8, 1542 (deWette 5, 512), while Seidemann 6:551 lists the date as December 28, 1542 (thanks to Rick Strickert for tracking down the deWette / Seidemann references). Footnote 50 on this page of this book refers to the date as February 23, 1542 (and also refers to Scheel's book). They also cite WA BR 9, 627, lines 23-25, (which I can verify), letter 3716. The footnote includes the following, "I was once bogged down in such thoughts and doubts. And if Dr. Staupitz ¾ or rather God through Dr. Staupitz ¾ had not helped me, I would have drowned in them and long been in hell." ("Jnn disen gedancken oder anfechtungen [...] ich etwa [=einst] auch drinnen gestecket. Vndt wo mihr D. Staupitz, oder viel mehr Gott durch Doctor Staupitz, nicht heraus geholffen hette, so were ich darin ersoffen vndt langst in der helle"). This letter does not appear to have been translated into English in any official way. An English translation of this lengthy letter can be hound here. "Grace and Peace in the Lord, and my poor Pater-noster. Gracious Lord, I beg most earnestly that your Reverend Grace may accept this writing of mine in a Christian and gracious spirit. Your Reverend Grace knows that I am a child of the sovereignty of Mansfeld, and have to the present day cherished natural affection for my Fatherland, as even the books of all heathen nations declare that every child has a natural affection for his fatherland. Besides this, God accomplished in the beginning of the Gospel so many praiseworthy achievements through your Reverend Grace, so excellently ordering the affairs of churches, pulpits and schools for the praise and glory of God, and made your Reverend Grace so eminently and gloriously useful in quelling the insurrection of the peasants, that I, for such and other reasons, cannot so easily forget nor omit from my cares and prayers your Reverend Grace. "How I wish that I could speak with your Reverend Grace face to face, for I am grieved beyond measure for the soul of your Reverend Grace, since I cannot esteem your Reverend Grace so lightly as the reprobate Henry's and Mentz's. One cannot talk so well to another with the pen. Nevertheless—to write briefly of this matter, my Gracious Lord—it is true, that what God has decreed must certainly come to pass; otherwise he would be a liar in his promises, upon which we must place our faith or shamefully fail, and that is impossible. But here is, at the same time, this great difference to be observed, namely: What God has revealed to us, promised or commanded, that we are to believe, and to act accordingly, assured that he will not lie: but what he has not revealed to us, nor promised, that we are not to and cannot know, much less can we act accordingly. Whoever troubles himself much about this, is tempting God, since he neglects that which he is commanded to know and to do, and concerns himself about that which he is not commanded to know and to do. This can only produce people who ask not for God's Word and sacrament; but give themselves up to wild living, mammon, tyranny, and every kind of dissolute life. For, with such thoughts, they can have no faith, nor hope, nor love to man or to God, whom they despise, because they are not permitted to know what he secretly thinks; although he has so abundantly revealed himself in everything that can minister to their benefit or salvation, from which they wantonly turn away. No man would tolerate a servant, who should refuse to perform his appointed duty, unless he knew in advance all the secret thoughts of his master in regard to all his possessions. And shall God not have power likewise to have some secrets to himself, beyond that which he has commanded us? "Let your Reverend Grace only think how it would be, if we were to be guided by such thoughts of the secret judgments of God, for example: 'Why does he permit his Son to become man? Why does he establish family relations — fatherhood and motherhood? Why does he ordain civil law and government? What more is needed? That which is to happen, will happen without all this! What need is there of the devil, the Holy Scriptures, and all created things? What he wishes to do, he can do without any of these.' But we are told that he desires to accomplish his purpose, as far as now revealed, through us as fellow-laborers, 1 Cor. iii. 9: therefore we should let him manage and not trouble ourselves about it, but do that which he has commanded us. Thus also says Solomon, Prov. xxv. : 'He that would search out royalty shall be crushed;' and Sirach iii. (vs. 22 and 23): 'Understand not what is too high, but think what is commanded thee;' and when the disciples asked the Lord whether he would at that time establish the kingdom of Israel, he replied: 'It is not for you to know the time or the hour, which my Father hath kept in his own power, hut go ye and be my witnesses.' (Acts i. 7 and 8.) As though he should say: Let my Father and me see to the events of the future; go ye and do what I Command you. "I have heard it said that some propose to introduce in Germany a form of government like that of France. Well, if they would stop first to ask whether that would be right and well-pleasing to God, I would not object. Let it be considered, too, that the kingdom of France, which was once a golden, glorious kingdom, is now so impoverished in both property and people, that it has become, instead of a golden, a leaden kingdom, and that, although formerly far-famed as the Christian kingdom, it has formed an alliance with the Turks. That is the way it goes when God and his Word are despised. "I write thus candidly to encourage your Reverend Grace, for I am now much nearer to my, grave than people think; and I beg, as before, that your Reverend Grace may deal more mildly and graciously with the subjects of your Reverend Grace, and allow them to remain; then shall your Reverend Grace also remain, by the blessing of, God, both here and in the life to come. Otherwise, you shall lose both worlds, and be like the man in Aesop's fable, who opened the goose that laid every day a golden egg, and thereby lost the golden eggs and the goose that laid them, or like the dog in Aesop, that lost the piece of meat by snapping at its reflection in the water: for it is most certainly true, as Solomon in so many of his proverbs says, that he who wants too much gets least of all. "To conclude, I am concerned for the soul of your Reverend Grace, which I cannot bear to have cast out of my cares and prayers, for that would to me mean, just as truly, cast out of the Church. I have been compelled to write, not only by the commandment of Christian love, but also by the severe threatening which God has announced to us in the third chapter of Ezekiel, namely, that we shall be condemned for others' sins. He says (verse 18): 'If thou tell not the sinner of his sin, and he die therein, I will require his soul at thy hands,' for to this end have I made thee a guardian of souls. "I trust your Reverend Grace will therefore receive kindly this exhortation, for I cannot allow myself to be condemned for the sin of your Reverend Grace, but must on the contrary make every possible effort, that your Reverend Grace may with me be saved. Thus I shall at least be guiltless before God. I commend you to the abounding grace and mercy of God. "Your Reverend Grace's willing and true-hearted, "Martinus Luther, D.
I'm still unsure of the exact date for this letter. However, there is one more context worth mentioning in regard to the statement, "If it had not been for Dr. Staupitz, I should have sunk in hell." Note the following Table Talk statement found in WA TR V, 5658a. The following English translation comes from Luther's Letters of Spiritual Counsel, pp.131-136. The date these statements were said to be made was February 18, 1542. That's just a few days before February 23, 1542 (one of the dates mentioned above in regard to the letter). Here, Luther is recorded as having an extensive discussion about predestination; in fact, a footnote in the text states, "One version bears the title 'Dr. 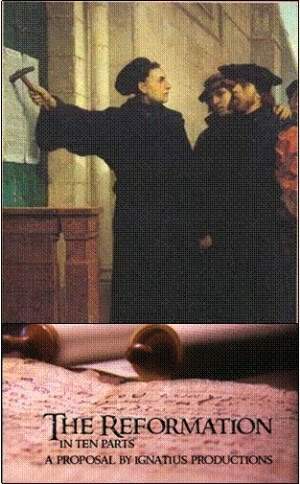 Martin Luther's Opinion Concerning Predestination, Written as It Fell From His Lips on Feb. 18, 1542." Speculations concerning predestination are now being spread abroad indiscriminately by epicureans who say: "I do not know whether I am predestined to salvation. If I am elected to eternal life, I shall be saved no matter what I do. On the other hand, if I am not elected, I shall be damned no matter what I do." Although these opinions are true, nevertheless the Passion of Christ and his Sacraments are thereby made of no effect, for it would follow either that it was very foolish of God to send his Son into the world, and so many prophets before him, or that we are surely quite mad. These are poisonous speculations and weapons of the devil. They deceived our first parents when the devil said to them, "Ye shall be as gods." Yet it may be objected that it is necessary that I be saved because God has this intention (if it be God's will). I reply: Well, are you to climb up to heaven and inquire into this opinion as if it were possible for you to investigate it? It would be most foolish of God to give us his Son and the Scriptures and the prophets if he wished us to be uncertain and to doubt concerning our salvation. It is the work of the devil to make us unbelieving and doubtful. People are assailed either by disdain or by despair when they think, "If I am to be saved, I shall be saved no matter what I do." It is not for you to inquire into the secret will of God without a word of revelation, nor should you imagine that God will fail to keep his promises to you. God is truthful, and he has given us assurances in the Scriptures in order that we may be certain. Otherwise it will come to pass that books, Bibles, and Sacraments will be cast aside and, like the Turks, we shall say, "Let me live, for tomorrow we die." Such an opinion leads to scorn or despair. I was once freed from this notion by Staupitz,otherwise I should long since have been burning in hell. For us this is an exceedingly necessary doctrine. A distinction must be made between knowledge of God and despair of God, and consideration must be given to the revealed God on the one hand and to knowledge of the unrevealed will of God on the other. Of the latter nothing at all is known to us. We must confess that what is beyond our comprehension is nothing for us to bother about. Nevertheless, Satan reproaches me with this impenetrable mystery. Apart from the Word of God I am not supposed to know whether I am predestined to salvation or not, and because reason seeks thus to inquire into God, it does not find him. We are not to know even if we break our heads over it. Moses was reproved when he asked, "Lord, show me thy face," and God replied, "Thou shalt see my back parts! "God has disapproved of and forbidden knowledge of his hidden will. Christ says, "No man knoweth God or the Father save the Son." Without the Word there is neither faith nor understanding. This is the invisible God. The path is blocked here. Such was the answer which the apostles received when they asked Christ when he would restore the kingdom to Israel, for Christ said, "It is not for you to know." Here God desires to be inscrutable and to remain incomprehensible. He says in effect: "Let me remain hidden. Otherwise you will fall into the abyss of hell, as it is written, 'He who inquires into the majesty of God shall be crushed by it.' In this place leave me untouched. Carnal wisdom shall here have its limit. Here I wish to remain unrevealed. I shall reveal your election in another way. From the unrevealed God I shall become the revealed God. I shall incarnate my Son and shall give you one who will enable you to see whether you are elected. Do this: Give up your speculations which are apart from the Word of God, thoroughly root them out, and drive them to the devil in hell. 'This is my beloved Son. Hear ye him.' Behold his death, cross, and Passion. See him hanging on his mother's breast and on the cross. What he says and does you may be sure of. No man cometh unto the Father, but by me,' says the Lord, and to Philip he said, 'He that hath seen me hath seen the Father.' Here you have me and will see me." Whosoever accepts the Son and is baptized and believes on his Word will be saved. I should indeed like to have it otherwise. But the Lord will not have it so. Begin at the bottom with the incarnate Son and with your terrible original sin. If you wish to escape from despair and hate, let your speculation go. There is no other way. Otherwise you must remain a doubter the rest of your life. God did not come down from heaven to make you uncertain about predestination or to cause you to despise the Sacraments. He instituted them to make you more certain and to drive such speculations out of your mind. Whoever doubts the revealed will of God will perish, for where there is doubt there is no salvation. What more do you want him to do? He reveals himself to you so that you may touch and see him not only in your thoughts but also with your eyes. It is as Christ says, "He that hath seen me hath seen the Father." Christ will lead you to the hidden God. You ought not to risk having the child Jesus snatched away from you. If you embrace him with true love of your heart and with true faith, you will know for sure that you are predestined to salvation. But the devil has a special fondness for making us most uncertain about predestination at the point at which we are most certain, namely, in the revelation of his Son. A wretched woman who was troubled by such temptations of the devil once came to me and said, "I do not know if I am predestined or not." I said to her: "Dear woman, you have been baptized. Do you believe what you hear in the preaching of the Word and do you accept it as the truth?" "Yes," she replied, "I have no doubt that it is true, but I am unable to believe it." I said: "To have faith in him is to accept these things as true without any doubting. God has revealed himself to you. If you believe this, then you are to be numbered among his elect. Hold to this firmly and with assurance, and if you accept the God who is revealed, the hidden God will be given to you at the same time. 'He that hath seen me hath seen the Father.' Cling to the revealed God, allow no one to take the child Jesus from you, hold fast to him, and you will not be lost. The Father desires you. The Son wishes to be your Saviour and Liberator. In so kind and friendly a fashion has God freed us from these terrible temptations. Otherwise our hearts are deprived of that certain trust and predestination. Those with terrified hearts will disagree, and those whose hearts are hardened will be filled with contempt. Christ said, 'Murmur not among yourselves. No man can come to the Father except the Father which hath sent me draw him.' And [Jesus] Sirach said, 'Search not out things that are above thy strength.' Do this, as I said to you at the beginning, and accept the incarnate Son." There is a beautiful example in the lives of the Fathers, where it is written that a young man named Neophile ascended to heaven and, having placed one foot inside of heaven, drew it back in order to thrust his other foot in, and he fell and plunged headlong into hell. So those who try to climb into heaven without the revealed Christ, and think that they have both feet in heaven, tumble down to hell. We should accept the child Jesus and cling to him because the Father is in the Son and the Son is in the Father. This is the only way. You will find no other, and you will break your neck if you try. This means that God cannot deny himself. If we cling to him, he will hold us fast, and he will tear us away from sin and death and will not let us fall. Besides, these speculations about predestination are of the devil. If they assail you, say: "I am a son of God. I have been baptized. I believe in Jesus Christ, who was crucified for me. Let me alone, devil." Then such thoughts will leave you. There is an account of a nun who was troubled by the devil with such wretched thoughts. When he addressed her and attacked her with his fiery darts, she said no more than this: "I am a Christian." The devil understood her very well, for it was as if she said: "I believe in the Son of God, who died on the cross, who sits at the right hand of the Father, who cares for me, and who is accustomed to intercede in my behalf. Let me alone, you cursed devil! With his inscrutable seal God has given me assurance." At once the temptation ceased, and at once she had peace of conscience and love for God. He wishes his predestination to be more surely grounded on many certain arguments. He sent his Son to become man, and he gave us the Sacraments and his Word, which cannot be doubted. The words of that nun come to mind in time of temptation, for unless we flee to this Christ, we shall either despair of our salvation or become blasphemous epicureans who hide behind divine predestination as an excuse. These opinions are impious and wicked. The fact that Isaac doubted cannot be adduced here as an example, for it is allowable to doubt with respect to man, as Isaac doubted whether he would have a good omen and a friendly reception. But God is not man. It is permissible to doubt man because we are commanded not to put our trust in princes. If we rely on them and they fail us, or if one of them renders us a service, we call it fortuitous or a chance occurence. It is not so with the help of God, however, concerning whom we have many signs that he is not a God who deceives us and is to be doubted. This is demonstrated for us by spiritual and corporeal arguments in the incarnation of his Son and in the Sacraments, which are plainly from God and meet our carnal eyes and are administered with external ceremonies, under which external marks God manifests himself to us and distributes his benefits to us. Consequently one should say of a man, "I do not know if he is friend or foe." But not so of God. In this case I have no doubt that God is absolute and that your sins are forgiven. But we are such scoundrels that we prefer to put our constant reliance on man rather than on God. Adam did this when God placed him in paradise and said, "Of every tree of the garden thou mayest freely eat, but of the tree of the knowledge of good and evil, thou shalt not eat of it." What do you think drove Adam to eat of it? He wished to know what God's secret intention was with regard to this tree that he should not eat of it, and he thought, God certainly has something extraordinary on this tree. He was searching out God apart from the Word. Then the devil came and urged on Adam [and Eve] by saying: "Ye shall be as gods if ye eat of it. Your eyes shall be opened so that ye shall see everything as God sees it." So they wished to be God and to eat of the tree which God had forbidden them to eat of when he said, "Ye shall not eat of it, neither shall ye know what I have on the tree." Thereupon Adam said, "Truly, I must know!" He ate of it, and at once he knew what he had done and he saw that he was naked. That is, his eyes were opened. We do the same thing in our relation to God. We wish to know what he has not commanded us to know. We should eat of every tree that he allows us to eat of, and we should rejoice to do so, but none of the fruit tastes so good to us as that of the tree we are forbidden to touch and on account of which he closed paradise and heaven to us so that we may know nothing of him except what he has revealed to us in his Word. If you wish to know what God's secret intention is, his dear Son will show it to you. We must have a God who is hidden from us, but we should not investigate into him, else we shall break our necks. It is God's will that we should be agreeable sons of his because we believe in his Son. There is no wrath here. Be satisfied with this. Here's one that came up on the Catholic Answers Discussion forums. A Roman Catholic participant was utilizing Father Mitch Pacwa for some Martin Luther information on the canon. A Lutheran participant responded by saying Father Pacwa "is not a Luther scholar by any means and has falsely accused Luther of murdering with his own hands!" To which the Roman Catholic participant responded, "As for your claim that he falsely accused Luther of murdering with his own hands, I don’t believe that for one minute. Nor have I found evidence of anyone else saying such a thing," and that, "Father’s words are being taken out of their proper context." No, Father's words are not being taken out of context. Yes, he did accuse Luther of murder. This interaction is the result of something I posted back in 2010 (and also here). Father Mitch Pacwa was gearing up for the October 2017 500th anniversary of Martin Luther’s posting of the 95 Theses. At the time, he was trying to put together a video series (as I now check his "Ignatius Productions" eight years later, it does not appear the project ever got off the ground). Back on March 08, 2010 he appeared on Catholic Answers live to discuss the Reformation. During the interview, a caller asked “In a nutshell, what did cause the Reformation?.” Father Pacwa answers, “Luther was racked with guilt.” What was this guilt from? Pacwa explains “he apparently had killed somebody in a duel.” To deal with the guilt of murder and “a legalism within his own personality” caused him to begin “looking at doctrine differently than it had been under the various Catholics prior.” This lead to justification by faith alone by grace alone. Another Roman Catholic participant stated, "I’ll just say, stuff on the internet needs to be vetted carefully. People get labeled as saying things they don’t say or what they do say is so recontextualized it doesn’t come close to what was actually said," and also, "Swain [sic] was apparently pointing to the book that made the claim Luther was in a duel and killed his friend. The real question is, did Fr Pacwa really say what he is accused of saying?" In the early 1980's, Dietrich Emme popularized the theory that Martin Luther entered the Augustinian monastery in Erfurt not due to his experience in a storm, but in order to escape prosecution after killing a companion (Hieronymus Buntz) in a duel in 1505 (Martin Luther: Sein Jugend- und Studentenzeit 1483-1505 [Cologne, 1982]). Emme's work on this point has been widely dismissed in recent scholarship as piling one speculative conclusion upon another (e.g., Andreas Lindner, "Was geschah in Stotternheim," in C. Bultmann, V. Leppin, eds., Luther und das monastische Erbe [Tübingen, 2007], pp. 109-10; cf. Franz Posset, The Front-Runner of the Catholic Reformation: The Life and Works of Johann von Staupitz[Aldershot: Ashgate, 2003], 94, and the response by Helmar Junghans, Lutherjahrbuch 72 :190). The standard biographer of Luther claims that Hieronymus Buntz died of plague (Martin Brecht, Martin Luther: His Road to Reformation, 1483-1521 [Minneapolis: Fortress, 1985], 47), and this is documented in sources from 1505 (http://books.google.com/books?id=r2hHAAAAYAAJ&dq=Hieronymus%20Buntz&as_brr=3&pg=PA34#v=onepage&q=Hieronymus%20Buntz&f=false). The "duel theory" relies on one of Luther's Table Talks: "By the singular plan of God I became a monk, so that they would not capture me. Otherwise I would have been captured easily. But they were not able to do it, because the entire Order took care of me" (D. Martin Luthers Werke: kritische Gesamtausgabe[Weimar Edition]: Tischreden, vol. 1 [Weimar: Hermann Böhlaus Nachfolger, 1912], p. 134, no. 326). Yet this refers to the Augustinian order's protection of Luther from Rome in 1518, not a putative flight from prosecution for dueling in 1505. If Luther's "duel" were true, it would have been a matter of rather public knowledge, both casually, among students and the monks, and officially, both with whatever civil or episcopal authorities were supposedly trying to arrest Luther, as well as because a dispensation would have been required for Luther's ordination (homicide being a canonical impediment for the sacrament of order). In other words, it would be practically unthinkable that when the Roman Catholic polemical biographer of Luther, Johannes Cochlaeus, was searching for data about Luther's monastic career (and coming up with stories like Luther wailing in the choir) that such a "fact," if true or even rumored, would not have emerged. Luther did in fact exalt himself above the Fathers,if Protestant theologian/historian Philip Schaff is to be believed (though he doesn't express it in those terms). http://www.newadvent.org/cathen/02091a.htm You will find the relevant citation in the 4th paragraph under "The dominating qualities of his doctrine" in the article "Teaching of St. Augustine of Hippo." Who would care if "Luther did in fact exalt himself above the Fathers"? Typically, this line of argumentation is put forth by Rome's defenders. The argument goes: Luther showed a lack of respect for those in church history who preceded him. One of Luther's failures, or flaws, therefore, was his pride and arrogance: the Catholic church, in all her history, awaited him as its savior. Everyone before him was theologically incompetent, expressing a false gospel. When Luther is charged with exalting himself above the Fathers, it's his alleged heretical arrogance Rome's defenders have in mind. How dare a heretic criticize a respected doctor of the church. The person who left this comment did so anonymously (see their blogger description). I'm going to assume based on this argumentation (and the link provided) that the person is some sort of Roman Catholic. Here though is an example of someone using the same newadvent.org source (and quote) who appears to not be a defender of Rome, so who knows? It's up to this mystery person to set the record straight. The "relevant citation in the 4th paragraph" from the newadvent.org link appears to be the comment attributed to Luther, "Augustine has often erred, he is not to be trusted. Although good and holy, he was yet lacking in true faith as well as the other Fathers," so says Luther via Protestant historian, Philip Schaff. 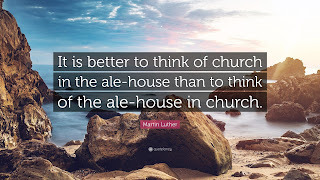 Of the same Luther quote, the great Reformed theologian B.B. Warfield refers to it as a "well-known assertion." While there are quite a number of comments Luther made about Augustine, we'll see below that finding the context for this "well known assertion" is not all that easy. We'll also take a closer look at the newadvent,org link provided, Philip Schaff's actual comment, and this particular Luther quote to see if it demonstrates "exalting himself above the fathers." As it stands now, Luther's overall opinion appears to be that Augustine was so incompetent, he shouldn't be trusted on anything. Attempts to monopolize Augustine and to make him an ante-Reformation reformer, were certainly not wanting. Of course Luther had to admit that he did not find in Augustine justification by faith alone, that generating principle of all Protestantism; and Schaff tells us that he consoled himself with exclaiming (op. sit., p. 100): "Augustine has often erred, he is not to be trusted. Although good and holy, he was yet lacking in true faith as well as the other Fathers." The Reformer was at times dissatisfied with Augustin himself, because, amid all his congeniality of mind, he could not just find in him his "sola fide." "Augustin has often erred, he is not to be trusted. Although good and holy, he was yet lacking in true faith as well as the other Fathers." But over against this casual expression stand a number of eulogies on Augustin. Luther's words must not be weighed too nicely, else any and everything can be proven by him, and the most irreconcilable contradictions shown. We must always judge him according to the moment and mood in which he spoke, and duly remember his bluntness and his stormy, warlike nature. Thus, the above disparaging sentences upon some of the greatest theologians are partly annulled by his churchly and historical feeling, and by many expressions, like that in a letter to Albert of Prussia (a.d. 1532), where he declares the importance of tradition in matters of faith, as strongly as any Catholic. In reference to the real presence of Christ in the Lord's Supper, he says: "Moreover this article has been unanimously believed and held from the beginning of the Christian Church to the present hour, as may be shown from the books and writings of the dear Fathers, both in the Greek and Latin languages, which testimony of the entire holy Christian Church ought to be sufficient for us, even if we had nothing more. For it is dangerous and dreadful to hear or believe anything against the unanimous testimony, faith, and doctrine cf the entire holy Christian Church, as it has been held unanimously in all the world up to this year 1500. Whoever now doubts of this, he does just as much as though he believed in no Christian Church, and condemns not only the entire holy Christian Church as a damnable heresy, but Christ Himself, and all the apostles and prophets, who founded this article, when we say, 'I believe in a holy Christian Church,' to which Christ bears powerful testimony in Matt, xxviii. 20 : 'Lo I am with you always to the end of the world,' and Paul in 1 Tim. iii. 15 : 'The Church is the pillar and ground of the truth.'" Schaff's actual view is certainly not the sentiment put forth by the anonymous comment which began this entry. The context of the remark concerns sola fide, not a blatant covering of everything either Augustine or the Church Fathers said or did. For Schaff, while Luther may have made disparaging comments directed towards the church fathers, these must be considered in the context in which they were made and be balanced with his "churchly and historical feeling," i.e., those comments he made positively in regard to church tradition and the fathers. This is also hardly the view claimed by the old Catholic Encyclopedia: "Schaff tells us that he consoled himself with exclaiming..." Schaff does not say Luther "consoled himself." Here we see Rome's defenders treating the context of Luther's words as needed, to support... Rome. Documentation: "Augustine has Often Erred..."
Augustin did more than all the bishops and popes who cannot hold a candle to him (XXXI. 358 sq. ), and more than all the councils (XXV. 341). If he lived now, he would side with us, but Jerome would condemn us (Bindseil, III. 149). Yet with all his sympathy, Luther could not find his “sola fide.” Augustin, he says, has sometimes erred, and is not to be trusted. “Although good and holy, he was yet lacking in the true faith, as well as the other fathers.” “When the door was opened to me for the understanding of Paul, I was done with Augustin” (da war es aus mit ihm. Erl, ed., LXII. 119). “Ever since I came to an understanding of Paul, I have not been able to think well of any doctor [of the church]. They have become of little value to me. At first I devoured, not merely read, Augustine. But when the door was opened for me in Paul, so that I understood what justification by faith is, it was all over with Augustine. There are only two notable assertions in all of Augustine. The first is that when sin is forgiven it does not cease to exist but ceases to damn and control us. The second is that the law is kept when that is forgiven which does not happen. The books of his Confessions teach nothing; they only incite the reader; they are made up merely of examples, but do not instruct. St. Augustine was a pious sinner, for he had only one concubine and one son by her. He was not given much to anger. St. Jerome, like the rest of us—Dr. Jonas, Pomeranus, and me—we are all much more inclined to angry outbursts. Nor do I know which of our doctors today has Augustine’s temperament except Brenz and Justus Menius” [LW 54:49-50, WATR 1:140 (347); cf. alternate English translation of a version of this Table Talk statement]. There are some notable differences between these versions. In the pure German text relied on by Schaff, the entire first paragraph is missing. In this brief paragraph, Luther describes Augustine as an excellent teacher, presenting a defense against the heretical Pelagians, and faithfully teaching God's grace (cf. LW 54: 8, "In his controversy with the Pelagians, Augustine became a strong and faithful defender of grace"). Then comes the section about Paul, Augustine, the Confessions, etc., contained in both versions. The German version is then missing the final section beginning with, "St. Augustine was a pious sinner..." This is the confusing nature of the Table Talk! 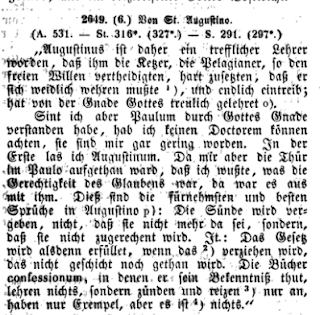 Schaff's documentation appears to only apply to the sentence, "When the door was opened to me for the understanding of Paul, I was done with Augustin" (da war es aus mit ihm). There is similar sentiment in this utterance, but it does not quite match up to what Schaff is citing Luther saying, particularly the quote under scrutiny. 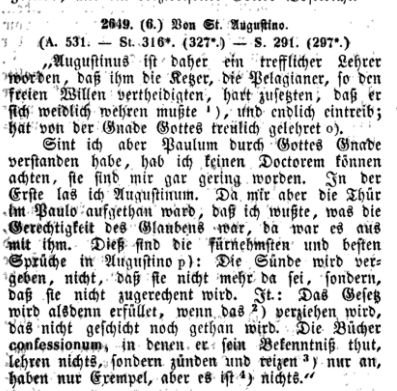 The original context nowhere says "Augustin has often erred, he is not to be trusted." There is the possibility that Schaff did more of a dynamic equivalence sort of translation on the next sentence. If this was the case, Augustine being "good and holy" would correspond to the sentiment expressed in the first paragraph. This though is a stretch. The part about "lacking in true faith as well as the other Fathers" is a little easier to jive with what the text actually says, but this is still a stretch. Wherever Schaff got these two sentences from, they do not appear to be from the Table Talk utterance he's referring to (Erl LXII, 119). In this version, Schaff's original words "Augustin, he says, has sometimes erred, " have been turned turn into Luther's direct words! Schaff has also been plagiarized: LW 54: 49 does not include "Augustine has sometimes erred and is not to be trusted. Although good and holy, he was lacking in the true faith, as well as the other fathers..." The English words appear to be Schaff's. The English translation appears to be unique to his writings. Numerous examples of Rome's defenders cut-and-pasting this wrongly documented plagiarized mis-quote can be found all over the Internet (example #1, example #2, example #3, example #4, etc.). As of the writing of this entry, I have not been able to locate exactly where Schaff's Luther quote comes from. It appears to be unique to Schaff. While one may not always agree with Schaff's historical interpretation, he was indeed a well-respected historian. When my detractor above states, "Luther did in fact exalt himself above the Fathers,if Protestant theologian/historian Philip Schaff is to be believed," yes, Schaff is to be believed, but his opinion does not equal historical infallibility. Here we find a great historian using an undocumented quote in multiple books, and then when Schaff did provide documentation for the quote, it's incorrect. None of the sophists was able to expound the passage, ‘He who through faith is righteous shall live’ [Rom. 1:17], for they interpreted ‘righteous’ and ‘righteousness’ differently. Except only for Augustine, there was great blindness among the fathers. After the Holy Scriptures, Augustine should especially be read, for he had keen judgment. However, if we turn from the Bible to the commentaries of the fathers, our study will be bottomless (LW 54:352). Here we find almost the exact opposite sentiment from the quote under scrutiny. There are quite a number of mentions of Augustine in Luther's writings, both negative and favorable. Yes, there were times Luther spoke negatively about Augustine and the Church Fathers, then there were times he did not. 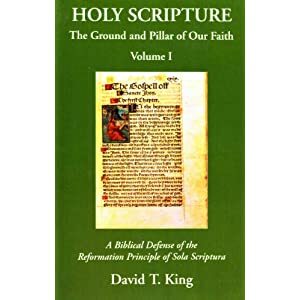 If one were step outside a Roman Catholic worldview, if only for a moment, Luther only considered the Scriptures to be infallible. The writings of everyone else, including his own, were not above criticism. This is not exalting oneself, this is placing the correct value on what is to be exalted; the Sacred Scriptures. Did not Augustine himself pen his own Retractationes (corrections)? (2) Op. Luth. tom. ii. Jen. Germ. fol. 103; tom. vii. Witt. fol. 353; tom. ii. Alt. fol. 142. Von Menschen-Lehre zu meiden. (3) Coll. Mens. Lat. torn. ii. p. 34. (4) 'Enarr. in xlv. cap. Genes, tom. ii. Witt. Germ. p. 227; Alt. p. 1382. “Look,” they say, “the church is to be believed more than the gospel.” I answer: Even if Augustine had said so, who gave him the authority that we must believe what he says? What Scriptures does he quote to prove this statement? What if he erred here, as we know that he frequently did, just as did all the fathers? Should one single sentence of Augustine be so mighty as to refute all the texts quoted above? God would not have that; St. Augustine must yield to them (LW 35:150). A larger context of Luther's remarks can be found here. It does not appear to me that Schaff took his quote from this treatise because I could not find the next sentence, "Although good and holy, he was yet lacking in true faith as well as the other Fathers."